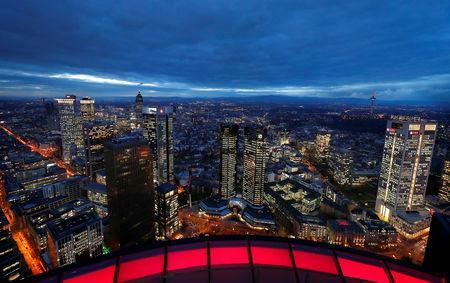 FRANKFURT (Reuters) - German banks are seeking to blunt any fresh U.S. sanctions against Russia so they can continue existing business with Russian clients, according to an internal briefing paper prepared by a financial industry lobby group. 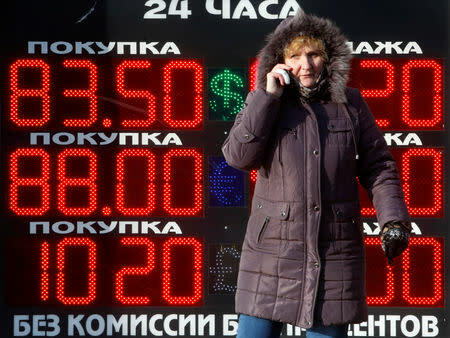 The risk of new restrictions on doing business with Russia has risen since the Democratic Party won control of the U.S. House of Representatives. New anti-Moscow measures could jeopardize funding for a multi-billion dollar gas pipeline between Germany and Russia. In response, lenders in Europe's largest economy have ratcheted up their lobbying efforts with U.S. lawmakers and government officials, warning that current proposals to sanction major Russian banks would be so expansive that they could disrupt global markets. "In their current form, the proposed bills would no longer just target the Russian President and oligarchs with close ties to Putin, but would effectively place an embargo against the Russian Federation," according to an extract from the document prepared by the Association of German Banks. The three-page paper calls for exceptions to be made which would allow "German banks and companies to complete business that cannot be unwound easily". The document, dated Dec. 3 2018, outlines key points for bankers to raise with U.S. officials. It reflects the consensus view of the association, which represents 180 banks, including Deutsche Bank, Commerzbank and foreign lenders with units in Germany, such as Italy's Unicredit. The 9.5 billion euro($10.78 billion) Nord Stream 2 project, which seeks to channel gas from Russia directly to Germany under the Baltic Sea, is not mentioned in the document but its future lies at the heart of the renewed lobbying push. "Nord Stream is the elephant in the room," said one person with direct knowledge of the matter. Russian news agency TASS quoted Nord Stream 2’s finance chief Paul Corcoran saying it was in discussions with export credit agencies and wanted to raise around 6 billion euros. But lenders will not want to run afoul of any U.S. sanctions. German companies are already coming under pressure to distance themselves from Nord Stream. U.S. President Donald Trump has said the pipeline will make Germany "captive" to Russia and last month, the U.S. Ambassador to Germany sent a letter to companies involved in Nord Stream warning that they could face sanctions if they stick with it. Last month, Germany's Foreign Minister Heiko Maas told companies his government would try to protect them from potentially "massive collateral damage" if Washington levies further restrictions on Russia. Almost five years of U.S. and European sanctions, imposed after Russia's 2014 annexation of Crimea, have already damaged economic ties between Germany and Russia. Trade between the two countries was worth 57 billion euros in the first 11 months of last year, more than Germany's trade with Japan and Canada combined but a way off the 71 billion euros recorded in the same period of 2013, the year before a wave of sanctions was introduced. German banks are still among the most exposed international lenders to Russia with outstanding claims of nearly $7 billion in the third quarter of 2018, according to figures from the Bank for International Settlements, but that is less than a third of the $22.5 billion recorded for the same period in 2013. 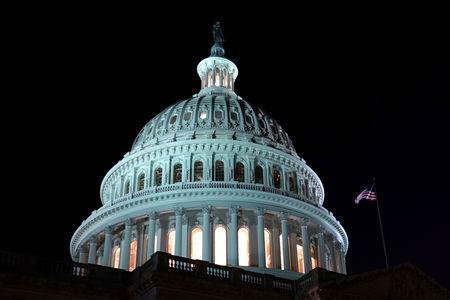 The newly elected U.S. congress is expected to move swiftly to bring new sanctions against Moscow. Republican Senator Lindsey Graham introduced a bill in August called the "Defending American Security from Kremlin Aggression Act", which proposes sanctions against big Russian banks and the country's energy sector. The German bankers' attempt to moderate such moves comes at a delicate time for the country's largest lender, Deutsche Bank. It faces renewed scrutiny from Congress over its most prominent customer – President Donald Trump – and its own past dealings with Russia. The Democrat, who this week called for a Senate investigation of allegations of money laundering involving Deutsche Bank, said that sanctions should be designed to limit "to the extent possible, any ricochet on European banks and others." "However, there is usually going to be some fallout and some repercussions for European banks given that there are these relationships," he said.